"The most valuable meetings that I have attended each year for the last decade have been the annual meetings of the Association of International Education Administrators. This meeting brings together the international leaders in both the public and private US universities and approximately 100 of our international partners. This year the meeting is in our backyard in San Francisco and promises to be excellent." The 21st century is witnessing a global reorganization of higher education, in which campus boundaries are giving way to global systems – sometimes guided by a competitive race for market share, sometimes by collaborative efforts at mutual development, and sometimes by the ever-expanding reach of wikis, tweets, and distance learning. The 2011 AIEA Annual Conference provides a forum to reflect on the relationship between internationalization and these broader changes. The conference theme asks us to think about the global impact of our work and invites us to consider the power of partnerships and the promise of information technology for moving forward together. Panels that create a conversation among speakers from more than one nation are especially invited. The emerging reorganization of higher education: what major changes are occurring in higher education on a global scale, why are they happening, where are they headed, how are they manifested in different parts of the world, and how do such trends affect the meaning and goals of internationalization? Global citizenship on an institutional level: What might global citizenship look like for academic institutions? How do institutional actions reverberate beyond their own boundaries? What are their responsibilities in this regard? What role should international education leaders play in shaping these discussions? Strategies of international partnership and exchange: What new forms are emerging and what have been their effectiveness and significance? What are the challenges in developing and sustaining such collaborations? How has the increasing importance of international partnership changed the work of international offices? Consortia and networks: What are the various forms of multi-institutional alliance and how impact have they had? What can all of us learn from the Bologna process? What makes such consortia work? What makes them fail? Information technology and international collaboration: What does the world of open access and wiki-knowledge mean for higher education? What are the promise and the pitfalls of distance learning? What about global imbalances in access to IT? How can IT advance collaboration? Joint degrees and off-shore operations: What are the various forms, as well as the pros, cons, and impact of each? When are such programs collaborative; when are they not? What principles should guide them? How might they navigate national differences in regulations, requirements, and expectations? Rankings: What are the pros and cons of existing international systems for ranking institutions of higher education? Is there room for multi-dimensional rankings and/or rankings that recognize differences in institutional missions? How do these affect the goals of internationalization? On-line registration for AIEA 2011 is now closed. Registration will be available on-site starting Sunday, February 20th, at the Westin St. Francis Hotel, San Francisco. To expedite the registration process, please print the attached document and fill out prior to your arrival. Conference Registration will be located in the Georgian Room on the Mezzanine floor. 2011 AIEA Conference on Feb 20-23, 2011 in San Francisco, CA. Current 2010 AIEA members can request a special members-only link by emailing AIEA at [email protected]. Join AIEA for 2011 (membership year is Jan 1 - Dec. 31) and save at least $100 on 2011 conference registration. To join, go to www.aieaworld.org and click on member services. Once you join and pay, your membership will be activated and you will be able to register for the conference at member rates after that time. (Full conference registration includes includes name badge, conference materials, all conference sessions, opening plenary, 2 evening receptions, 1 breakfast, 2 luncheons, admission to the exhibit hall, and coffee breaks). NOTE: Pre-conference workshops are an additional, separate charge from the conference registration fee. Registration records for AIEA and ISEP will be cross-referenced to verify participants are registered for both events. Participants will be contacted if discrepancies occur. Registration fees are refundable, less a $75 processing fee, up until January 14th. No refund will be issued for cancellations starting January 15, 2011. Registrations are transferable until January 14th with a $50 administrative transfer fee. Starting January 15th, transfers will not be accepted. All cancellations must be sent in writing via fax or e-mail to the conference registrar at [email protected]. See below for a general schedule. She has had extensive experience in international cooperation in higher education having served for more than 15 year in various senior positions at the Association of Universities and Colleges of Canada (AUCC), including Vice-President, International. 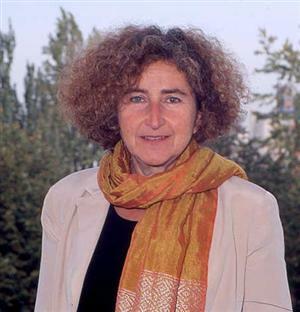 As Secretary General of IAU, she is engaged with some of the most pressing policy issues in higher education – internationalization of higher education and intercultural learning, quality of cross-border higher education, access to and success in higher education, changing nature of institutional autonomy and the contribution of higher education to sustainable development among others. Since her arrival at IAU, she has focused on expanding the Association’s convening role, consolidating the Association’s clearing house of information capacities and launched a number of projects, including a systematic and regular global survey of trends in internationalization. She was educated in the Czech Republic, Canada and France. Having studied French Literature, Political Science and International Political Economy, her post-graduate research focused on higher education policy and particularly on early (mid-1980s) policy making in this field by the European Union. 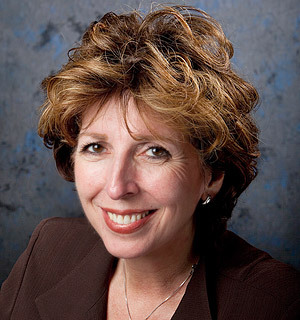 Linda Katehi became the sixth chancellor of the University of California, Davis, on August 17, 2009. As chief executive officer, she oversees all aspects of the university’s teaching, research and public service mission. Chancellor Katehi also holds UC Davis faculty appointments in electrical and computer engineering and in women and gender studies. A member of the National Academy of Engineering, she chaired until 2010 the President’s Committee for the National Medal of Science and the Secretary of Commerce’s committee for the National Medal of Technology and Innovation. She is a fellow and board member of the American Association for the Advancement of Science and a member of many other national boards and committees. Her work in electronic circuit design has led to numerous national and international awards both as a technical leader and educator, 16 U.S. patents, and an additional six U.S. patent applications. She is the author or co-author of 10 book chapters and about 600 refereed publications in journals and symposia proceedings. Keisha Senter is the Director of CGI U, President Bill Clinton’s initiative to engage the next generation of leaders on college campuses around the world. To date, CGI U has catalyzed over 3,000 Commitments to Action within its five focus areas: Education, Environment and Climate Change, Peace and Human Rights, Poverty Alleviation, and Public Health. Prior to joining CGI, Senter was the deputy director of Campus Progress, the youth organizing arm of the Center for American Progress (CAP) in Washington, D.C. At CAP, she built and managed a progressive speaker’s bureau that organized over 400 events on campuses and in communities nationwide. Under her leadership, Campus Progress delivered to students top speakers; offered debates on issues from Iraq to the economy; held a groundbreaking series of discussions on hip-hop and politics; featured a diverse series of films and filmmakers; and provided training programs on media and organizing work. Senter also built partnerships for events and issue campaigns with a range of organizations, from Americans for Informed Democracy to HBO and PBS. Before joining CAP, Senter worked as an Outreach and Constituent Liaison for United States Senator Charles E. Schumer in his New York office and as a field organizer for his 2004 re-election campaign. She is the recipient of the Center for Budget and Policy Priorities 2007 Young Leaders in the Spotlight award. Senter is a graduate of Florida Agricultural & Mechanical University and obtained her master’s in international relations from Dublin City University in Dublin, Ireland. 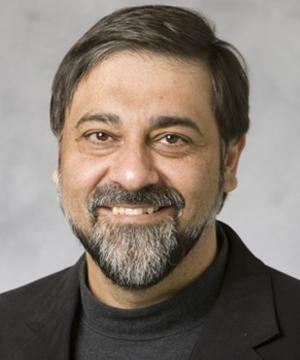 Vivek Wadhwa is a senior research associate with the Labor and Worklife Program at Harvard Law School and an executive in residence/adjunct professor at the Pratt School of Engineering at Duke University. He is also an advisor to several start-up companies, a columnist for BusinessWeek.com and a contributor to several international publications. Since joining Duke University in August 2005, he has researched globalization, its impact on the engineering profession and the sources of the U.S. competitive advantage. His research has been supported by several grants from the Kauffman Foundation and by the Sloan Foundation. Wadhwa has spoken at dozens of conferences including the National Governors Association and the National Academy of Sciences. Mr. Wadhwa holds an MBA from New York University and a B.A. in Computing Studies from the Canberra University in Australia. He is founding president of the Carolinas chapter of The IndUS Entrepreneurs (TIE), a non-profit global network intended to foster entrepreneurship. He has been featured in thousands of articles in worldwide publications including The Wall Street Journal, Forbes Magazine, Washington Post, New York Times, U.S. News and World Report and Science Magazine. He has also made many appearances on U.S. and international TV stations including CNN, ABC, NBC, CNBC and the BBC. The global middle class is growing as is the global demand for International Higher Education. It is projected that student mobility will grow 70% by the year 2025. However as more countries get into global recruitment, U.S. is losing its global market shares due to the perception of high education costs, and the budget cuts that is effecting all institutions of higher Education and visa issues. What can U.S. Institutions do to remain globally competitive? The answer lies in enhancing, articulating and marketing of 2+2 jointly by four year institutions and community colleges. The 2+2 process provides huge savings to students and all institutions of higher education. As the global middle class grows the 2+2 can bring affordability of a U.S. Degree to these families who would have otherwise looked at other countries. This will be a Working Workshop format where university SIOs and community college SIOs will roll-up-their-sleeves, put-these-principles-to-work and walk away with some preliminary agreements. This session will put into use already existing articulation agreements, joint marketing strategies and success models give credibility to 2+2 globally and eliminate myths about 2+2, possibly including the creation of standard "fact sheets" to be used worldwide create a joint strategic global plan leverage articulation agreements for US student visa success abroad. Each participant leaves with specific ideas, tailored to his or her unique workplace environment, that can be implemented the next day - and almost always with no cost. Fanta Aw - Assistant Vice President of Student Life at the American University in Washington, D.C. Aw has been with the American University staff since 1992. Prior to her appointment as the Assistant Vice President of Campus Life in 2007, she served the International Student and Scholar Services (ISSS) department as Director. Under her leadership, ISSS received national and international recognition for the quality of its intercultural programs and services. Carol Fimmen – Director of International Programs at The Alamo Colleges (ACC). Previously, Fimmen was the director of the Office of Global Education in the College of Business and Technology at Western Illinois University. She has served as a consultant to the Asian Development Bank Institute, the TIESWEB Organization in Paris, the American Council on Education, the Consortium for North American Higher Collaboration and the Western Interstate Commission for Higher Education. She also was a founding board member of the International Leadership Association and has served in various capacities with the American Association of University Administrators, the Multicultural Commission of the National Academic Advising Association and the Leadership Development Board for the U.S. Department of Education TRIO programs. Ross Jennings - Vice President of International Programs at Green River Community College in Auburn, WA, USA. In addition to his duties at Green River, Jennings consults professionally in international student recruitment and program development. He served as an international student advisor at Edmonds Community College before coming to Green River in 1993, and he has served as chair of Study Washington as well as the Association of Washington International Student Affairs. Jennings was in the Peace Corps in Morocco for two years and worked as a teacher and oil company representative for ten years in Saudi Arabia and Iran. Zepur Solakian - Executive Vice President, Global Communication and Public Relations, Center for Global Advancement of Community Colleges (CGACC). Solakian also serves as Chair of Destination California. For the last several years, she has played a key role in helping the American Association of Community Colleges develop a global international recruitment program for U.S. community colleges. While Director of Marketing at California State University - Dominguez Hills, she worked with NGOs and universities worldwide, including consulting on educational projects with Johnson & Johnson Europe / Middle East, DDB, Khaleej Times, Hurriyet Newspaper (Turkey). Continues the discussion of successful leadership and management during university transition towards total campus internationalization and global engagement by highlighting the current trends and challenges faced by SIO's. Experienced SIO's will discuss identifying, serving and leveraging your campus constituents and overseas partners, developing creative resource solutions, and institutional compliance. This workshop is designed for SIO's who have served in their leadership roles for several years (i.e. 3 years or more). William Brustein - Vice Provost for Global Strategies and International Affairs at Ohio State University. Brustein was previously Associate Provost for International Affairs and Director of International Programs and Studies at the University of Illinois at Urbana-Champaign, where he was also the Alumni Professor of International Studies as well as a professor of sociology, political science, and history. Brustein served as President of the Association of International Education Administrators (AIEA), and he currently is a member of the Board of Directors of the Association for Studies in International Education, as well as a member of the executive committee of the Commission on International Programs of the Association of Public and Land-grant Universities (APLU). Marjory Gooding - Director of the International Offices at the California Institute of Technology and the Jet Propulsion Laboratory in Pasadena, California. Gooding has worked in the international offices at the University of Colorado at Boulder, the University of Colorado Health Sciences Center, and MIT. JoAnn McCarthy – consultant on the internationalization of higher education. She has spent twenty-five years in teaching and academic administration, most recently as Assistant Provost for International Affairs at the University of Pennsylvania. She is a past president of the Association of International Education Administrators (AIEA) and served as chair of the International Education Leadership Knowledge Community of NAFSA. She served on many national and international advisory boards and is a frequent consultant, author, and speaker on the internationalization of higher education, the changing dynamics of student/faculty mobility, and the emerging role of the research university in global civil society. The success of the last 25 years of active international engagement by Australian education institutions has brought international education to the forefront of the thinking not only of the institutions, but also governments, media and the Australian community generally. Australian education business models have resulted in over 600,000 international students studying in Australia, with a further 100,000 studying Australian qualifications offshore. Education is Australia’s largest service export, ahead of tourism. It has transformed Australian education universities and the Australian community in fundamental ways. While the international student program is at the heart of the internationalization of Australian universities, international networks, the internationalization of staff, curricula and research, the outbound mobility of domestic students, transnational education, international development assistance and the internationalization of student services are equally central. Security, safety and social inclusion of international students and the importance of international students for Australia’s future innovation, research and economic development broadly are also increasingly central. The institutions face major challenges in terms of future growth, international competition and the effective use of international partnerships and networks. This workshop will build on the outcomes of a joint AIEA-IEAA Symposium, Enhancing US-Australia Cooperation in International Education, held in Sydney in October 2010. The workshop will focus on the educational, business, public policy and community aspects of Australian international education. Case studies of successful practice, as well as examples of current challenges and responses to them, will be presented and discussed, with a view to active and critical dialogue between workshop participants. Stephen Connelly - Deputy Vice-Chancellor International and Development and Vice-President at RMIT University. Prior, he spent five years at Swinburne University of Technology as Pro Vice Chancellor (International) and later as Deputy Vice Chancellor (Development and Engagement). He spent seven years at La Trobe University as Director of International Marketing and then Director of the International Programs Office. Since 2009, Stephen has been President of the International Education Association Australia (IEAA). Jennie Lang - Pro Vice-Chancellor International University of New South Wales, Sydney. Jennie is recognized as one of the pioneers of international education in Australia. Her contribution to promoting Australian education abroad has been acknowledged with an Export Heroes Award from the Australian Institute of Export. In 2004, she was named Telstra Business Woman of the Year in the NSW Community and Government category. Note: There will be a break for dinner. Dinner will not be included in the cost of the workshop. A list of eateries on site and close to hotel will be provided. This seems to describe the international education field fairly accurately these days. While recognition of the importance of international education has never been greater, fundamental shifts in higher education and a lagging economy have combined to challenge us in a variety of ways. As the context around us changes, we, too, need to change and adapt. This workshop builds on past career workshops, but focuses specifically on what we need to do now, in this economy and this setting, to create and maintain an effective professional presence for ourselves, and to continue to lead the international agenda at our institutions. Maintaining yourself, your office, and your program in the face of economic and organizational challenges. The workshop will be highly interactive. Kit Nichols - Vice President of Auerbach Associates, Inc. Nichols leads both academic and administrative searches, with a focus on the arts and international affairs. Recent searches include the Directory and Deputy Director searches at the Yong Siew Toh Conservatory at the National University of Singapore, Vice Provost for International Programs at the University of Virginia, and Vice President for International Affairs at Brown University. She is currently working on the search for the Director of the Asian Civilisations Museum, one of the national museums of Singapore. Riall Nolan - Professor of Anthropology at Purdue University. His office oversees study abroad, international students and scholars, strategy and policy development for overseas activities, and the development of international linkages. Dr. Nolan was also Associate Provost and Dean of International Programs at Purdue University. Trained as a social anthropologist, he has managed international programs at both the University of Pittsburgh and the University of Cincinnati before joining Purdue in 2003. Nolan is active in both NAFSA and AIEA, and he presents frequently on issues of international education practice and strategy. Chris Cartwright - doctoral student in Educational Leadership at Portland State University. Cartwright is currently the Director of Intercultural Assessment for the Intercultural Communication Institute. Earlier, he was Dean of Academic Programs for the International Partnership for Service Learning and Leadership and a Continuing Educator for Portland State University. Jean Lipman-Blumen - Director of the Connective leadership Institute, and the Thornton F. Bradshaw Professor of Public Policy and Professor of Organizational Behavior at the Peter F. Drucker/Masatoshi Ito Graduate School of Management, Claremont Graduate University, Claremont, CA. Lipman-Blumen has served as assistant director of the National Institute of Education, and as special advisor to the Domestic Policy Staff in the White House under President Carter, she consulted for various governments and private sector organizations. She was also the president of L-BS International, Ltd., a management consulting and public policy research firm. Her book, The Connective Edge: Leading in an Interdependent World was nominated for the Pulitzer Prize. Hot Groups: Seeding Them, Feeding Them, and Using Them to Ignite Your Organization, with Harold J. Leavitt, professor emeritus, Stanford Graduate School of Business, was the American Publishers' Association "Business Book of the Year." Her most recent book is The Allure of Toxic Leaders: Why We Follow. This workshop is for international educators at universities who are attempting to expand their institutional enrollment of international students. The workshop will focus heavily on working with agents who specialized in recruiting students for the U.S. market. Topics will include: the advantages in using agents for recruitment, selecting the right agents, and contracting and commissions. The workshop presenters will also review the development of “best practices” for agents that has been done by the American International Recruitment Council (AIRC). Other recruitment initiatives such as recruitment fairs will also be covered in the workshop. Stephen Paul Foster - Associate Vice President for International Affairs at Wright State University. Foster has held administrative and teaching positions at Central Michigan University, the University of Arkansas, and St. Louis University. He is responsible for international programs at Wright State University, including the recruitment of international students, and has been active with the American International Recruitment Council (AIRC) since its inception two years ago, where serves as AIRC's Vice President. Pia Wood – Associate Provost and Director of International Education, and an Associate Professor of Political Science at the University of Tennessee-Knoxville. Wood was previously the Director of International Studies at Wake Forest University. She has served in a number of elected positions, including President of ISA-South, Executive Board of AIEA, and AIEA Editor, and she has been an External Reviewer for Title VI-A Grants, for Fulbright-Hays Group Projects Abroad, for International Research and Studies Program (Dept. of Education) and for the Gilman Scholarships. She was the President of the Association of International Education Administrators in 2009. Thank you for considering the opportunity to exhibit at the 2011 AIEA Conference on Feb. 20-23 in San Francisco. Several hundred senior-level leaders in international education from across the US and the world will participate in this conference. These leaders and professionals recognize the benefits of networking with organizations in the promotion of international education on their campuses. Exhibitors have the unique opportunity to share information about their organizations with these senior-level leaders and key decision makers. AIEA limits the number of exhibitors in order to maximize exhibitors' time with conference participants. All conference breaks will be held in the exhibit area, so as to ensure quality interaction time. AIEA Exhibitor space is limited and is on a first-come, first-served basis, so be sure to complete the registration form and return it to AIEA along with payment as soon as possible to ensure your space. Email request for registration form to [email protected]. Exhibitor Fee: Includes exhibit table and 2 chairs, one exhibitor with full conference registration. Note: Additional persons at the booth will need to register separately for the conference. One exhibit table per organization. Electricity & Internet: Exhibitors will be responsible for working directly with the hotel for electricity/wireless or any other a/v needs. To review rates click here. Set Up Details: Exhibitors will set up on Monday afternoon, Feb 21. Exhibits will be open to attendees from Feb 22 through Feb 23. The opening ceremony is Feb 22 in the morning. Take down will start after lunch on Feb 23. Please leave exhibits up through 12 noon on Wednesday Feb 23. Ship boxes to arrive NO EARLIER than (3) business days prior to the start of the event. SPONSORSHIPS: Limited sponsorships are also available - conference sponsors have even greater visibility with senior leaders in international education. Higher-level sponsorships include complimentary exhibit space. Contact [email protected]for further details. 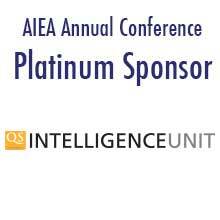 Become a sponsor at the 2011 AIEA conference and raise your visibility with senior-level leaders in the international education field! Click here to download a list of sponsors and their logos. The 2011 AIEA Conference will be held on Feb 20-23, 2011 at the historic Westin St. Francis Hotel in downtown San Francisco. Guests can click here to learn more about the event and to book, modify, or cancel a reservation from April 2, 2010 to February 27, 2011. To make reservations, please call directly to 800 WESTIN-1 (800.937.8461). International callers can make reservations by calling the appropriate number listed here. To ensure that you will have a room at this special rate, please reserve your room as soon as possible. Please note that both the AIEA Annual Conference and the ISEP Symposium are being held at the Westin St. Francis Hotel. There are two, separate conference blocks for room reservations. If you plan to attend both the AIEA and ISEP events, please alert the hotel accordingly so you are assigned an appropriate room and rate. The AIEA Annual Conference room reservation covers dates February 19 to February 23, while ISEP Symposium room reservation covers dates February 22 to February 24. Accommodations on Wednesdsay and Thursday nights (February 23-24) for guests attending the ISEP Symposium are available through the ISEP room block. Details available at www.isep.org. Online booking for the AIEA annual conference: click here. Online booking for the ISEP Symposium: click here. To book online, please go to www.aa.com/group. Use the Authorization Number noted below as the AA.com Promotion Code. To contact the Airlines Meeting Services Desk, call 1-800-433-1790. For a discount on car rental, contact Avis at 1-800-331-1600, with reference to AWD# B136001. ---BART: from Domestic terminal; $5.15 ticket; "Board a Dublin/Pleasonton-bound train, get off at Powell Street (10th stop)." Please carefully read this Important Information for instructions and details in preparation for the 2011 AIEA Annual Conference. Please use this PowerPoint template for your slide-show at the conference.